How are Great Businesses built? 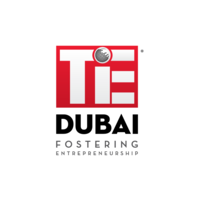 Join Open Diversity and TiE Dubai for an informative panel discussion with leaders who have launched businesses in the region as well as experienced investors and advisors, have grown and know what it takes for a company to be successful. Â· Are you curious to build a business in the region? Â· Are you a successful business and looking to expand further? Â· Do you understand ALL that it takes to keep growing? The conversation will cover securing funding, building sound financials, assembling the right team, conducting market research, and more.